Imagine a morning commute where your car alerts you of potholes and the nearest available parking spot, pays for parking automatically and signals your office to brew a fresh cup of coffee, turn on your computer and adjust the thermostat to your preferred temperature. These visions could be closer than one thinks according to NextChallenge: Smart Cities, a global competition challenging innovators to find hardware and software technology solutions to address unmet challenges facing urban areas. 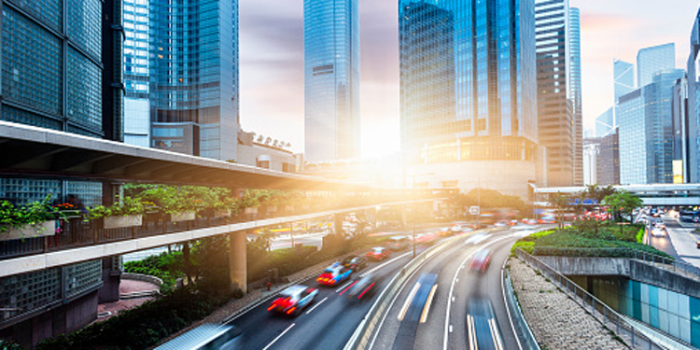 "Urban populations are on the rise, which is leading to challenges related to safety, mobility, emissions, accessibility and congestion," said Jean Redfield, president and CEO, NextEnergy. "This challenge is designed to identify new innovations to address those issues, with added benefits of identifying technology opportunities that can create new business models and drive economic development." The challenge will create a pipeline of smart city technological and entrepreneurial innovation concepts. The winner will be awarded up to $80,000 in grant funding from Wells Fargo to demonstrate and validate their solution at the NextEnergy Center in Detroit, or an applicable site that meets the needs of the selected solution. An additional combined total of $20,000 will be awarded to as many as four finalists. Monetary awards and programmatic support are funded by a $650,000, three-year grant from Wells Fargo to support NextEnergy's efforts to drive investment in advanced energy and transportation technologies that address needs in urban communities. "Wells Fargo is proud to support efforts to create solutions for the future of smart cities. Our Clean Technology and Innovation Grant program funds projects that foster innovation, entrepreneurship and an ecosystem that helps early stage technologies bridge to the commercial marketplace," said Ashley Grosh, Vice President, Wells Fargo Environmental Affairs. Innovators should submit an online concept proposal by 11:59 pm EDT on July 28, 2016. Submissions will be reviewed by a panel of judges including representatives from the four challenge sponsors based on the following objectives: innovation, qualifications, competitive advantage and scalability. The most compelling solutions will be supported by measurable metrics, address data analytics and information sharing and open application programming interface (API) capabilities. Semi-finalists will be selected and required to submit a full proposal by Oct. 4, 2016. Selected finalists will be expected to present their proposals on Dec. 8, 2016. Awards will be announced in January 2017. DENSO plans to take its core automotive technologies and apply them to different fields and industries to help create the future smart city. DTE Energy will use the technology challenge to identify opportunities to create smarter and more resilient cities of the future. A webinar is scheduled for June 9, 2016 from 2 – 3 p.m. EDT to learn more and review the application process.